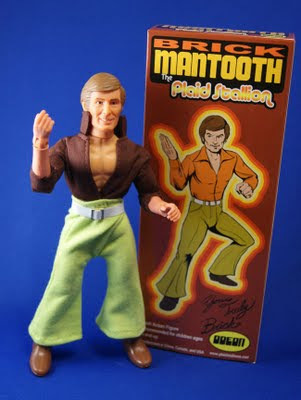 It is with great pride that I open up the ordering for the Brick Mantooth doll. This is the first batch, if I sell out, it does not mean I am out of the figure, just out of assembled sets. Every one will get one, the boxes in my garage assure you. These are coming from Canada and take anywhere from 5 to 10 business days, Canada Post doesn't work weekends either. The doll comes as shown, you may or may not have to dress him yourself. This Depends on whether your set was assembled by Gallant (my friend, who lovingly dressed each one) or Goofus (obviously me, who was getting tired and hungry by this point). 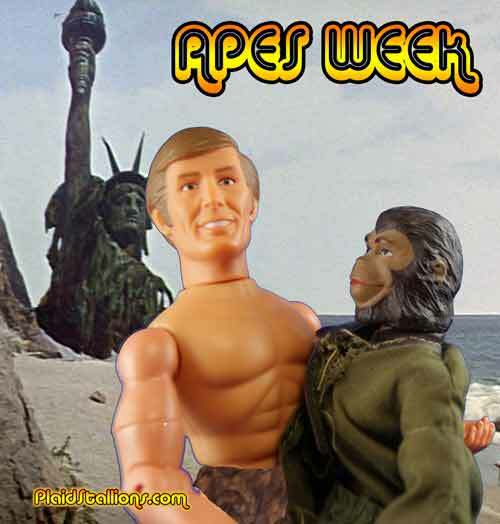 Dr.Mego.com- We wouldn't have this figure without Dr Mego and he makes a lot of cool stuff. 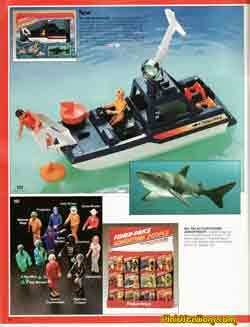 Castaway toys- Boots, belts, jumpsuits, even vintage Action Jackson sets that will fit Brick. If you still can't quite find that special outfit, check out the Megomuseum forums as there are several Mego scale tailors for hire. 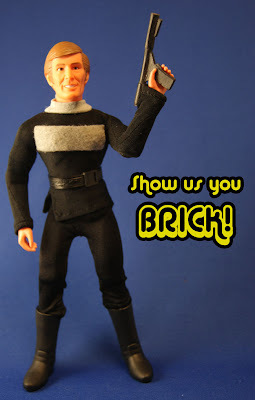 My friend Scott at Dida displays has a Brick Mantooth Bachelour pad set coming out. 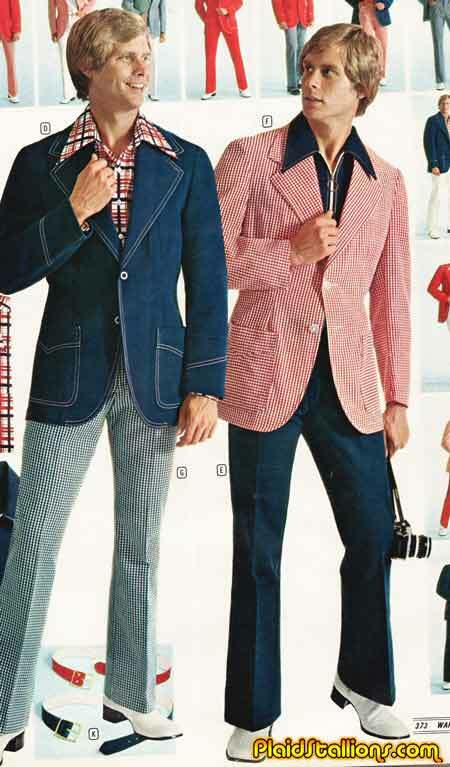 Also, my pal Steve is hard at work with several 70s fashions for Brick that are just wonderful and fun. 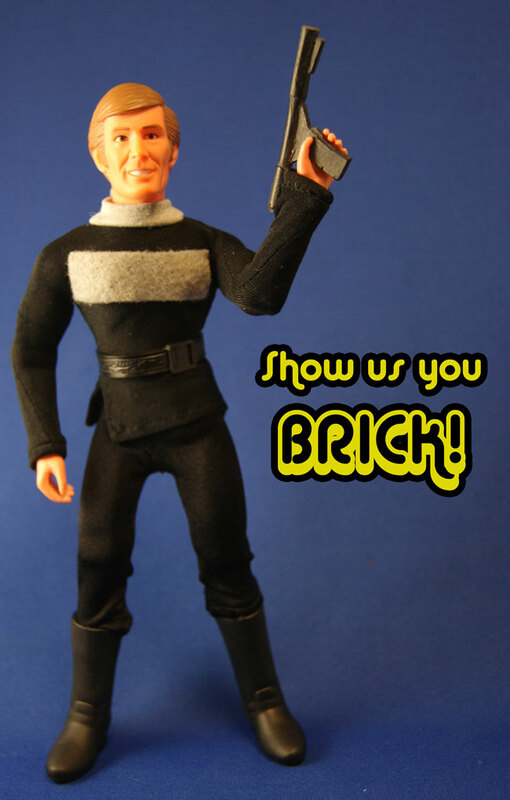 Look for my own weird limited edition Brick figures to arrive in September when I unveil "Project Mantooth". Scott Sansom (Sculptor), Scott Adams (Art and Design), Steve Stolk (Printing), Paul "Dr Mego" Clarke (our man in China), Steve Moore (Outfit prototyping), Ed Leung (doll dresserer), my wonderful wife and children who seem to ignore that their father is insane. And many thanks to you, the reader, for supporting or at least enjoying this mad idea that clearly has gone too far. 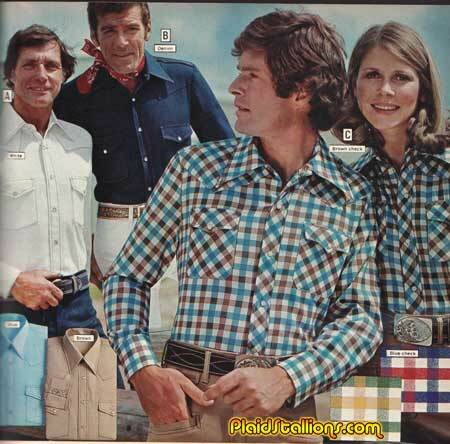 Click here to get a little Mantooth in your life. 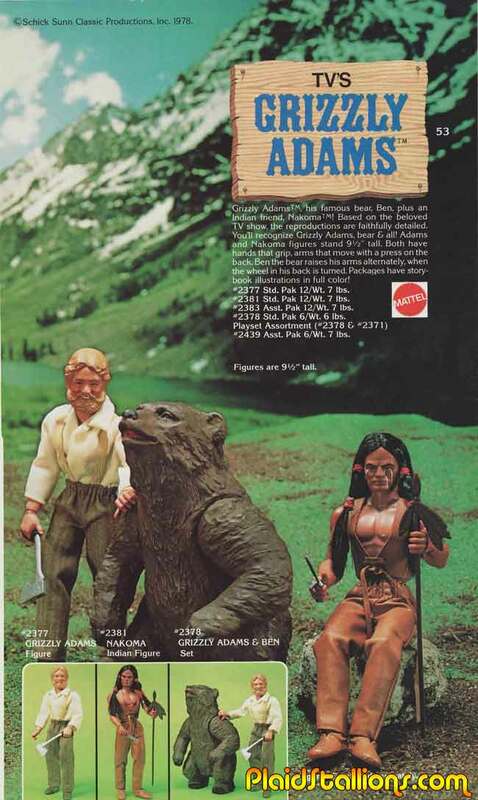 In 1977, Marx Toys launched the Ready Gang a beautiful line of 9" action figures from the old west with little to no back story (seriously are these guys outlaws for good guys?) and it quietly flopped in the market place. 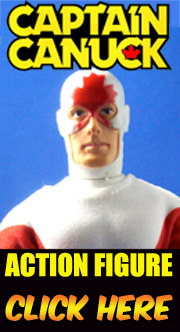 It's a shame as the figures are not only attractive but well made, nowadays I get an email every once in a while from people convinced they've found a rare Lone Ranger action figure and it's always a figure from this well made but largely unknown series. 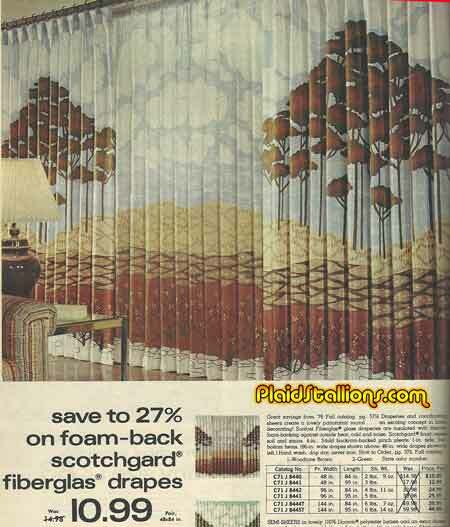 The comfort of Fiberglas drapes, at least you'll be warm. 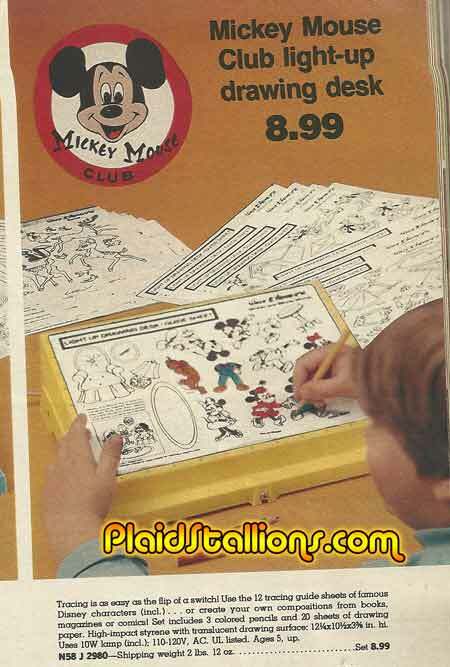 I still totally have my Mickey Mouse light up drawing desk and you can still see where I drew on the actual surface in pen (I was never classified as "gifted" as a child). Despite losing the majority of the sheets (I may still have the Robin Hood ones) this set was of great value to me right up until adult hood when I dreamed of becoming the next Jack Kirby. Fortunately, the world was spared my amazing superhero adventures in an untimely coffee accident, it was for the better. I get the douche chills when I read those pages now. Meet Wool Jimmy, baddest mack daddy in Iowa. Growing up, one of my favourite Superheroes of all time was Marvel Comic's Sentinel of Lberty, Captain America! Which is totally weird because I'm Canadian, but I digress. 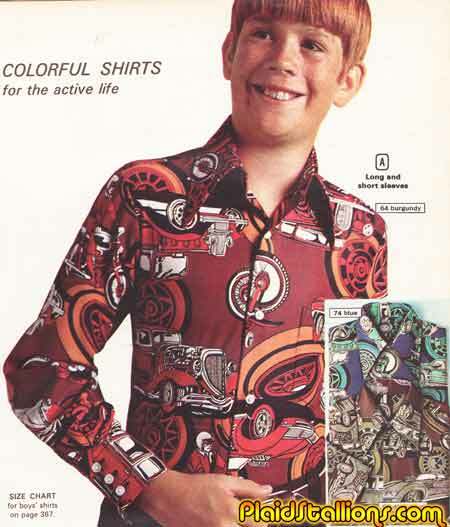 As a child, the good Captain adorned a ton of merchandise that I do not own. 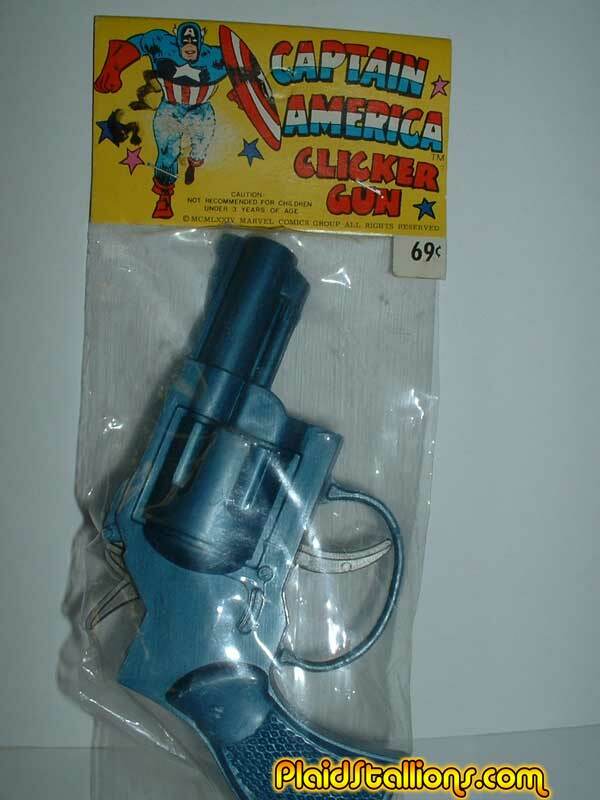 Fortunately, I know one of Cap's biggest fans Tim A (Marvelmania on the Megomuseum forum) who was gracious enough to share the gems of his staggering collection with us. 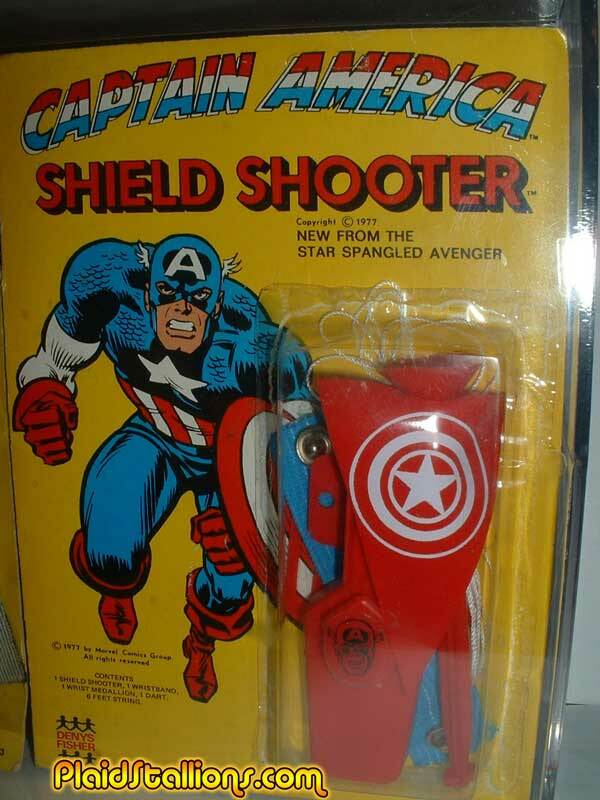 ...to the downright strange, we've got a smattering of Cap goodies that will have you slinging your shield at Ebay before you know it. 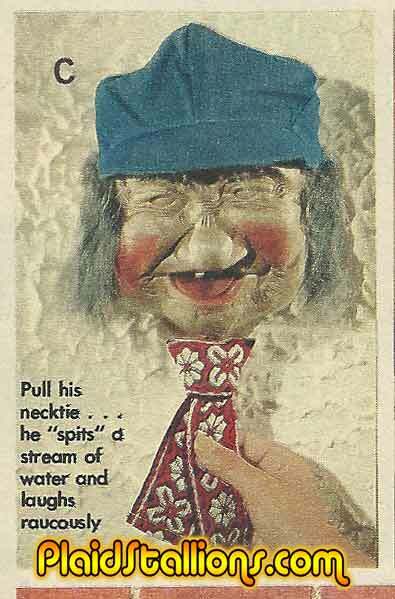 One look at this thing brought back about a 1,000 different nightmares of being alone in a relatives dark basement and discovering one of these on the wall. Seriously, why were these made? 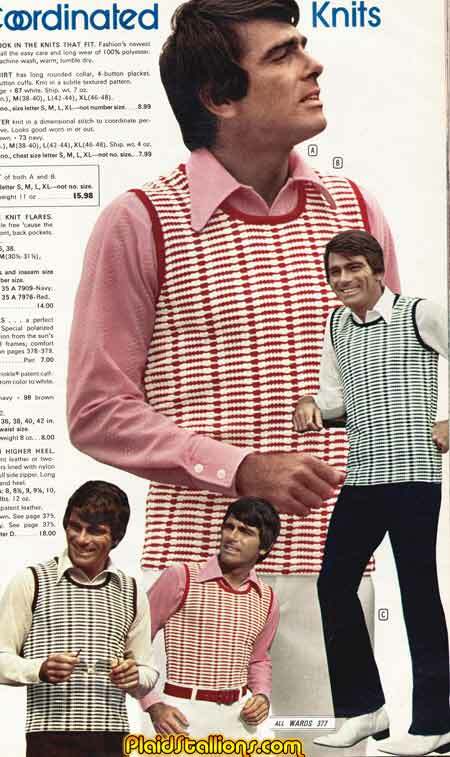 Not only an ugly shirt, it's an appetite suppressant. Also available in "Moldy oranges found in your fridge that cause you to dry heave" green. OK Benji I've heard of but I'm surprised to see merchandising for Joe Camp's other funny animal film "Hawmps!" which I've never seen but probably should since it contains both Denver Pyle and Slim Pickens. That's an powerhouse combination of Southern Stereotypes for one movie. A now take on an old classic playing this week at the Marx, Hyland, Odeon, The Brock and Cinema Six. 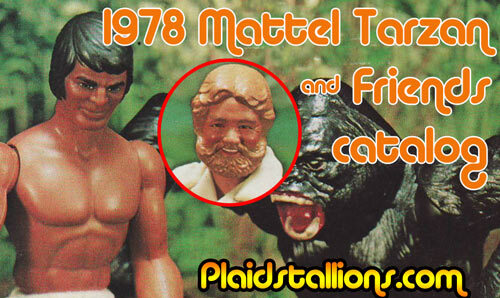 Big Jim may have been long gone but his body got a lot work in 1978 when Mattel launched a series of action figures based on TV properties like Tarzan, How the West was Won and Grizzly Adams. Many of these items were made utilitzing items from the European Big Jim offerings at the time which unless you were from Italy, would be blissfully unaware of. 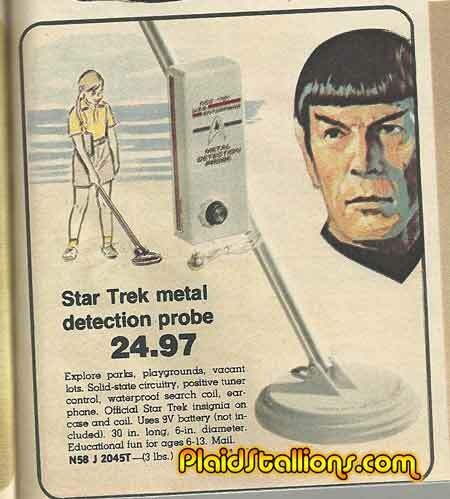 I love this ad for the "Star Trek metal detection probe" or as I call it the "Social Life Eradicator" has a slightly worried looking Mr Spock overseeing this action. He's not liking this one bit. 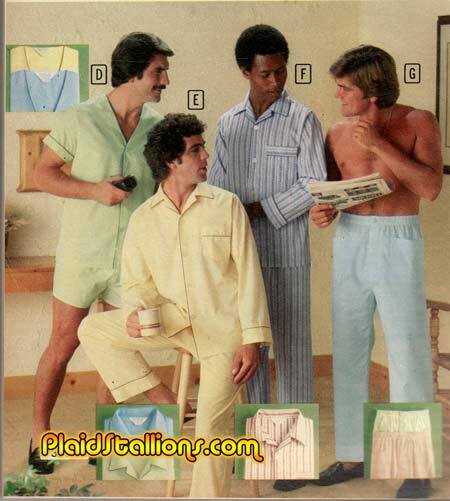 If Fightclub were a seventies movie. 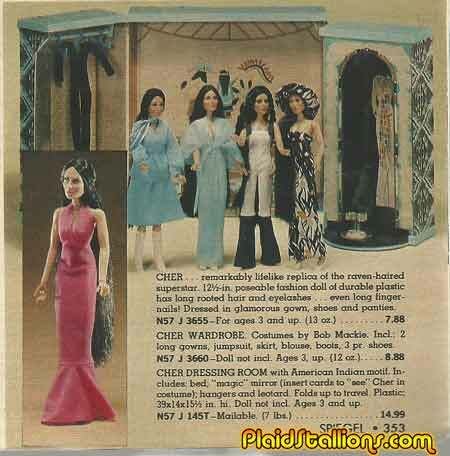 You know here and in my other life at the MegoMuseum, I've often ignored the Cher toy line which is odd because a) She was huge in the 1970s and b)Cher was a huge freaking deal for Mego. It's a glaring oversight seeing as I've never known a world without Cher and I promise to give her (and girl's toys in general) a little more exposure in the future. "Circle the wagons Tex, them varmints want nothing better than to meddle and cause a heap o'trouble between you and your best gal"
Recently discovered in the basement of Odeon Toys Founder Vic Machismo's house, this commercial for the Brick Mantooth doll hasn't seen air since the fall of 1976, when it aired on Buffalo 29 at 3:30 am in between a rerun of "Room 222" and another rerun of "Room 222". 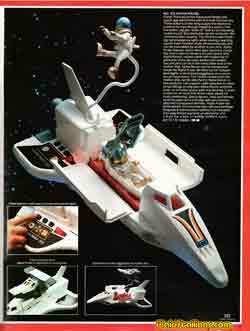 We are happy to unveil this unique piece of toy history. 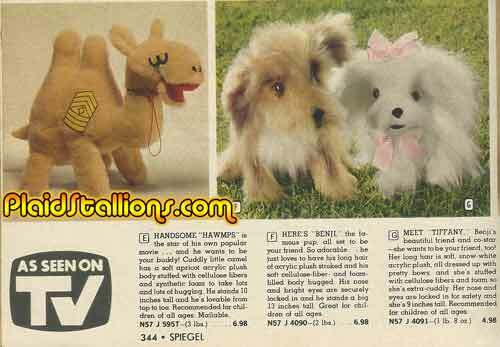 Oh man, my parents sold these (translation: there were tons in our house growing up) and I absolutely loved them. They were called "Bathtubbies" and were created by Tomy. 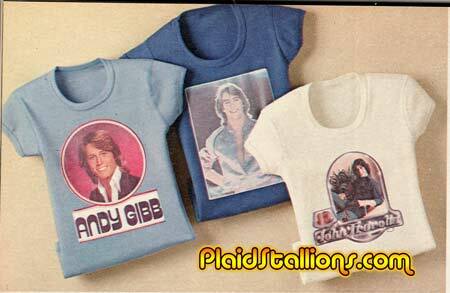 They were sold carded but I remember my folks having big counter display boxes of them. My favourite character in this line was the kid friendly Creature from the Black Lagoon character, a nice sprinking of science fiction into an otherwise straight forward toy line. From the "Faces have changed but not much else department". If somebody would produce a Travolta shirt like that using what he looks like now, I'd wear it every day. Like a lot of boys (and many girls) I went through a passionate "Dinoasur phase" in the late seventies, this was the "Pre empire period" in between Star Wars and just after "The Black Hole" rocked my world. My choice of figures to collect were these English made figures by a company called Inpro (Thank you internets). These figures were crack to me, I absolutely adored them and will hunt them down again with the exception of one, this guy who is still in my possession after all these years. 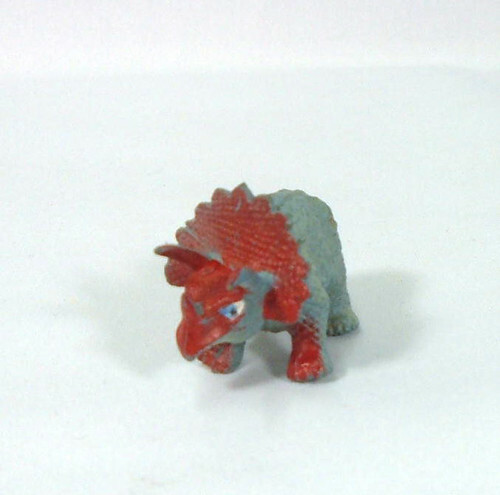 Triceratops, my favourite of all Dinosaurs (I'm not sure as to the why) even followed me to college, he's never leaving my side. "Pssst Let's put Larry's jock strap in the freezer!" 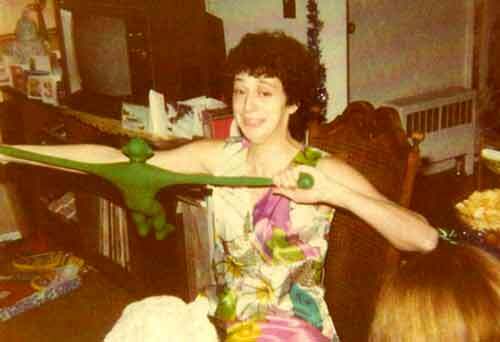 Muppet John sent in some toy love with this classic shot of his mom grappling with his Stretch Monster on what looks like Christmas morn. Stretch Monster should know better than to mess with Mom, no toy can defeat her! After blasting on the scene and creating the 3 3/4" revolution six years earlier, the Fisher Price Adventure people were still going strong in a Science Fiction crazed world. While still focusing on earth bound fun like camping and driving race cars, the Adventure People were also looking to the stars in 1981 with the launch of the Alpha Space Probe, a real sign of the times.